Nelly was born Cornell Haynes Jr. in St. Louis in November 1974. Born in Texas, his father, who was in the Air Force, moved the family to Spain for three years. Eventually, they landed in the Muddy Mississippi, the city Nelly calls home, St. Louis. "St. Louis is real. It's the rawest of the raw. It's so small so everybody knows each other. I've got a love/hate relationship with it." Nelly's parents divorced when he was eight years old. Nelly, being the youngest kid in his neighborhood, spent most of his days getting into trouble with other guys. He grew up in St. Louis and experienced first-hand the dangers and temptations of life on the street. As a result, he was moved around to live with a different family members--not to mention attend a variety of schools--in hopes of keeping him on the right track. It wasn't until he moved to University City and became interested in organized baseball that he was distracted from the streets. Nelly excelled at the sport and several offers were made for him to play professioanlly. Nelly's passion for baseball helped keep him out of trouble. In 1993 Nelly left his gritty St. Louis neighborhood and settled in the suburban area of University City. "I really thought I'd be playing ball right now," he said. But after listening to MCs like Rakim, LL Cool J, Run DMC, Outkast, Goodie Mob and Jay-Z day after day, Nelly was seduced by the rap game. "Rappers like Biggie and Tupac brought something different to the music. They attrected people to it." Fortunately, Nelly has chosen to pick up the mic and lead St. Louis into the hip-hop spotlight. "I've got a style that's all my own. I'm rappin' the blues. I like to think of my music as a jazz form of hip-hop. I don't really even know what I'm going to sound like until I hear the beat." Nelly continued to work on his baseball skills and formed a rap group called the St. Lunatics with school pals Kyjuan Ali, Murphy Lee and his little brother City Spud. In 1996, with financial banking from management, the supergroup went into the studio and came out with the 12-inch singe, "Gimme What Ya Got," which sold an impressive 7,000 units regionally and dominated airwaves, rising to the top slot on St. Louis' #1 Hip Hop station, 103 the Beat Nelly continued with the Lunatics while playing shortstop in the St. Louis Amateur Baseball Association. At the time, it looked as though Nelly would be a professional baseball player. The St. Lunatics managed to put out another song called Who's The Boss, which became a local hit. The song helped their reputation locally but didn't grab the interest of record companies. The frustrated St. Lunatics decided to try their luck in Atlanta and teamed up with Kula who was managing Mase at that time. Eventually they realized Nelly would have a better chance of scoring a record deal on his own. Sure enough, his rapid-fire cadence, soulful sound and energetic stage presence caught the attention of Universal Records, which immediately signed him. "I don't necessarily feel like a solo artist," he explains. "I'm just the key in the door for the rest of the St. Lunatics. I'm the first to release an album. But we're all family. We came up together from nothing. So it's St. Lunatics for Life." 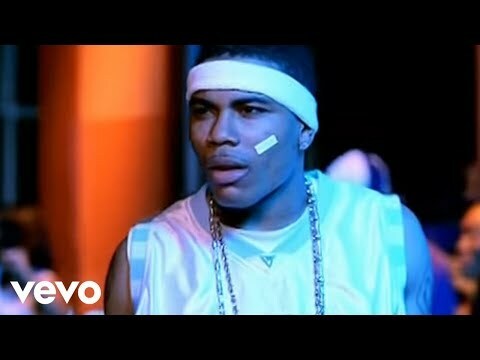 Nelly's career was off like a rocket with the release of his song Country Grammar. 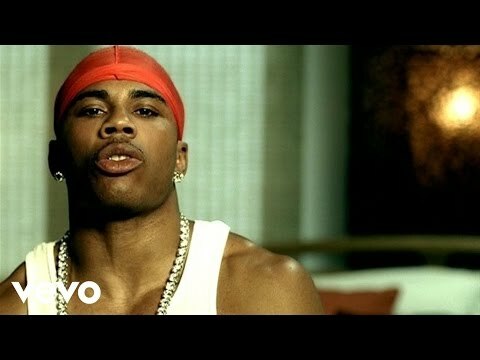 Nelly took the melodic hook from his lead single, "Country Grammar (Hot...)" from the children's song, 'Down, down baby...' "That beat stuck in my head and I just put my own 'country grammar' spin on it." "St. Louis" is an ode to his hometown; everything from waking up on a Sunday to being out at night. On the local club anthem "E I" Nelly explains: "E I means 'Yes! Bring it on'" He enlists the mic skills of LIL WAYNE, from Cash Money Records' the Hot Boys, on "For My," a song dedicated to all af their supporters, and "Never Let 'Em See You Sweat" features the New Yourk-based duo The Teamsters. His fellow St. Lunatics join his muscial mayhem on "Steel The Show" and "Batter Up." 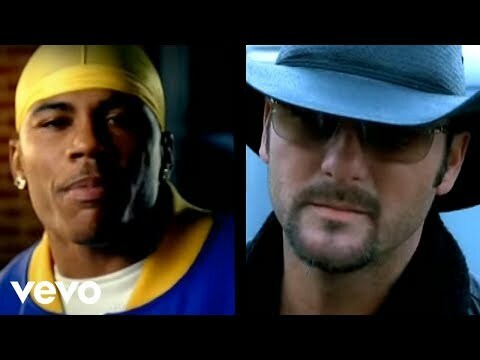 St. Lunatics memebers Jason and City Spud serve as producers on Country Grammar. 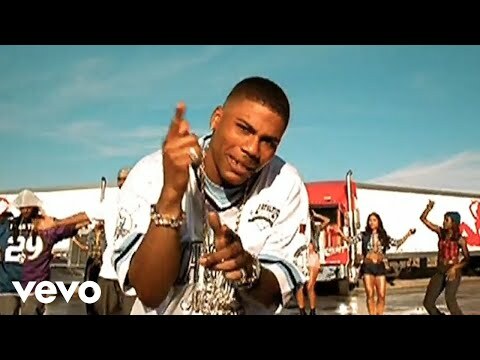 On June 6, 2000, Nelly released his first full-length album - also called Country Grammar. The album managed to sneak past Eminem and Britney to the number one spot on the Billboard charts on August 26, 2000. When Nelly first debuted nationally in summer 2000, he seemed like a novelty, but it quickly became apparent that he was, in fact, an exceptional artist, a rapper with truly universal appeal. He wasn't from the East or West Coast, and wasn't really from the Dirty South, either. 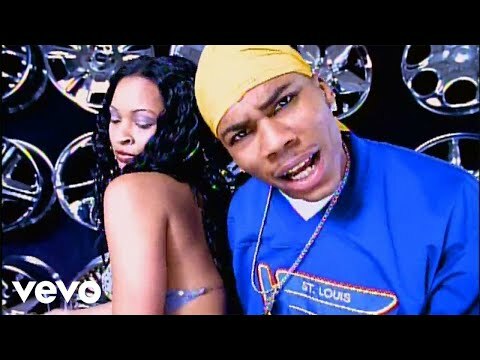 Rather, Nelly was from St. Louis, a Midwestern city halfway between Minneapolis and New Orleans. His locale certainly informed his rapping style, which was as much country as urban, and his dialect as well, which was, similarly, as much Southern drawl as Midwestern twang. Plus, Nelly never shied away from a pop-rap approach, embracing a singalong vocal style that made his hooks incredibly catchy. 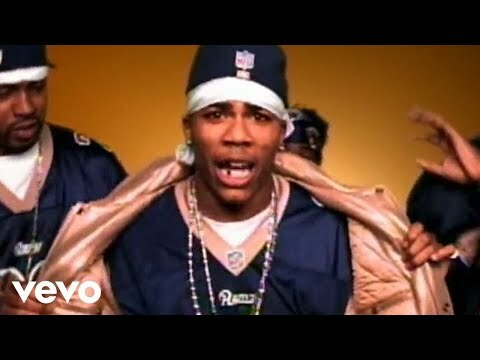 As a result, Nelly became an exceptional rapper capable of crossing all boundaries, from the Dirty South to the TRL crowd and everything in between. 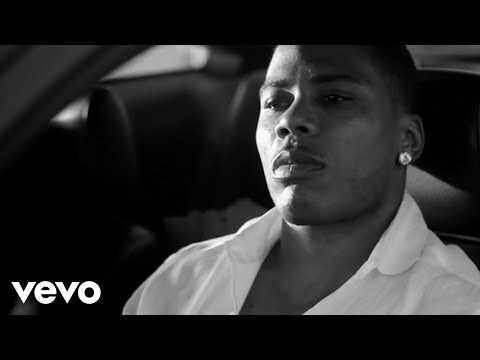 Though Nelly had become a star as a solo artist as planned, he said that he is and always will be a member of St. Lunatics, a collective that also includes Big Lee, Kyjuan, Murphy Lee, and City Spud. 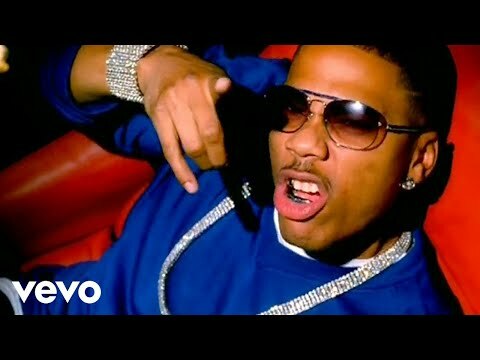 Nelly fulfilled his promise in 2001 with the release of Free City, the debut St. Lunatics album featuring the hit single "Midwest Swing." With the release of the song Ride Wit Me Nelly the rapper has secured his spot as a popular rap artist who's known as much for his signature low-riding pants as he is for his music. The following summer Nelly returned with his second album, Nellyville, and lived up to his self-proclaimed "1" billing. The album topped the Billboard album chart while the The Neptunes-produced lead single, "Hot in Herre," remained atop the singles chart. In all, Nelly impressively held the number one spot on ten different Billboard charts the week of Nellyville's release. Few rap artists could boast such numbers, and Nelly surely savored his number one status, particularly after being dismissed as a novelty two summers earlier when he debuted. You could call him a pop-rapper if you liked, but you surely couldn't challenge his number one status. After all, his hit streak continued unabated, with "Iz U" (from his stopgap Da Derrty Versions: The Reinvention remix album) and "Shake Ya Tailfeather" (from the Bad Boys II soundtrack) keeping him in the spotlight while he readied his double-disc Sweatsuit project (following the lead of OutKast and R. Kelly, who had both recently released very successful two-disc sets). The seperately released double album dropped in fall 2004, preceded perfectly by a pair of red-hot singles: "My Place" (a slow jam) and "Flap Your Wings" (a club jam). A stroke of commercial (and to an extent, creative) genius, the superstar-laced project catapulted Nelly back atop the pop-rap world, where his presence was peerless. Book Nelly for shows and concerts at Heavy Rotation booking agency. Worldwide Bookings with HR Booking. Nelly Booking, Book Nelly. Book artists like Nelly, Nelly booking agent, contact Nelly email, Nelly manager, Nelly management for concerts, bookings, biography, pictures, videos. Nelly may be available for your club shows, private party, festivals or other events.